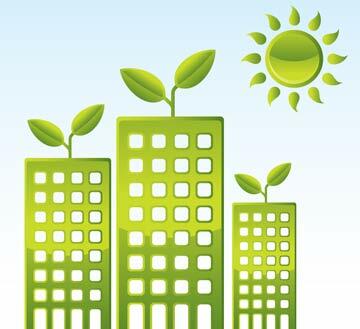 There are a number of criteria that are used to judge how green a city is. Whether it’s by energy consumption and emissions, transportation methods and green spaces or planning and sustainable buildings, it is difficult to balance the population’s current needs with those required for future generations. Making real inroads into achieving this balance is why the following cities are some of those which are doing fantastically well. Whilst Reykjavik in Iceland is a small city, with a population of only 115,000, its green ambitions are large. It aims to remove its dependence on fossils fuels entirely by 2050, relying solely on geothermal and hydropower sources. These fuel sources are renewable and free of greenhouse-gas emissions, making them ideal replacements. Work is already well underway and the city already has some vehicles that run on hydrogen, including public buses. The Canadian coastal city of Vancouver has similarly impressive environmental ambitions. Its 100-year plan for green living has led to it becoming a world leader in hydroelectric energy, which already makes up 90% of its power supply. The city has also embraced new technologies, investing in solar, wave, wind and tidal systems as energy sources, making it the city that the rest of Canada looks to for ideas and inspiration. Bogota in Colombia offers a unique perspective on going green. The former mayor, Enrique Peealosa, spent his time in office bringing about change that increased happiness rather than centering on traditional forms of economic growth. He invested in an improved bus system, a system of bike paths throughout the city, raised the number of children enrolling in school and increased petrol prices. His legacy includes a car-free day on 1st February each year. The 1992 Olympic Games gave Spain’s Barcelona the opportunity to regenerate neglected areas and revitalise the city centre. Major transport infrastructure works were carried out, with ongoing investment in a high-speed rail network that will reduce both urban and rural traffic. Public buses make use of a range of green technologies, including biodiesel and electric power. Additionally, the city has embraced recycling and has become well known for its initiatives such as colour-coded bins. Brazil is known as having an advanced biomass market with use of technologies that include the biogas digester. In the city of Curitiba, however, the whole community has joined together to embrace a greener way of life. Contractors get tax breaks if they incorporate green areas into their projects. Landowners get reduced property taxes for maintaining native trees. Recycling programmes enable low earners to obtain bus tickets and food by collecting reusable waste. Environmental incentives permeate the culture of the city. Cities across the world are taking the green message and making it their own. From Reykjavik’s abandonment of fossil fuels to Barcelona’s impressive transport network or Insulation and Environmental Services Ltd’s environmental initiatives, the leadership and innovation that these cities are giving the rest of the world is truly awe-inspiring.